Controlling the flow of rainwater runoff from your roof and directing it away from your home is important part of protecting your home. Soil expands when saturated by water and contracts when dry. Expansion and contraction of the soil around your home is a leading cause of serious and costly foundation failure. Moisture corrodes and rots building materials and affects indoor air quality from mold hidden within walls. Moisture damage is often not visible and its effects can take years to show. Failure to direct rainwater away from your home also leads to ponding. Ponding attracts insects like mosquitoes, ants, termites, and roaches that cause damage to your home and your health. Without gutters, rainwater erodes and washes out landscaping. This also causes backsplash of dirt, grass, and minerals onto the side of your home causing discoloration, staining, and deterioration. Your installation contractor can assist you with the selection of various styles and colors to accentuate the architecture of your home. For light to moderate rainfall rates or roof areas with relatively short ridge-to-eave distances. For moderate to heavy rainfall rates or roof areas with longer ridge-to-eave distances. For heavy rainfall rates or roofs with large overhangs such as tile roofs. For all rainfall rates and roof ridge-to-eave distances. Offers a classic look. The round downspouts can also be used with K-Style/O.G. gutters. Senox manufactures the largest selection of painted aluminum colors in multiple finishes to complement your home. Choose from a selection of 30 colors, as well as Galvalume Plus and Solid Copper premium metals. 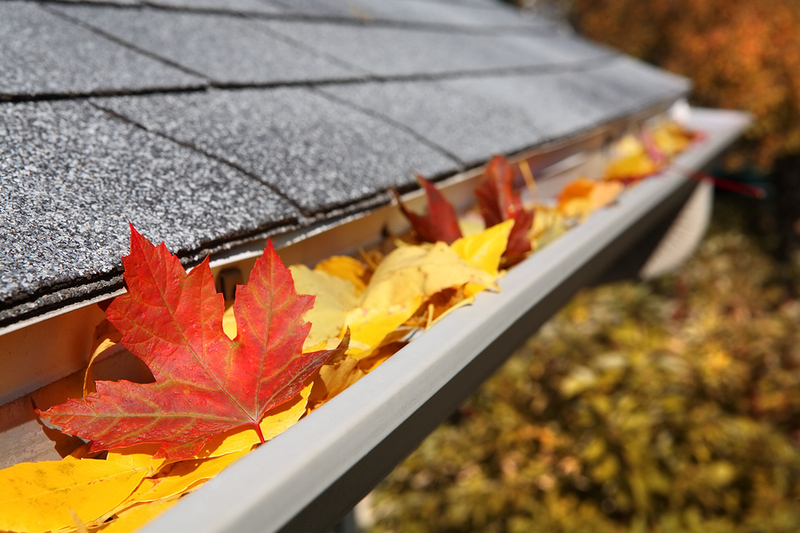 A rain gutter system is the first step to rainwater collection. Instead of directing all of the rainwater away from the house, it can be directed from the gutter system into a planned collection system such as rain barrels. Since 1972, Senox Corporation has been protecting homes from rain damage with high quality seamless gutter systems. Senox products are designed and guaranteed to last. Ask your contractor to obtain specific warranty information. We can also help you choose from the many leaf protection systems available to make the right choice. The following simple cleaning procedures should be performed at least once a year or more often if necessary. For surface soil and stains, such as those resulting from industrial fallout, tree sap, insecticides, or chimney fumes, use ordinary nonabrasive household detergent. The solution should be applied to the soiled surface by means of a soft rag, sponge or soft bristle brush with a gentle rubbing action. Do not rub vigorously so as to create glossy areas over the satin finish. Soft bristle brushes equipped with long extension handles may be used to reach some of the higher areas. It is important that immediately following all washing operations, the entire surface be thoroughly rinsed with fresh water from a garden hose. If stubborn stains are encountered, use a heavy-duty cleaner such as "Fantastik." Heavy soil deposits may not be removable in one application and may require repeated cleaning over some length of time. Do not use cleaners containing abrasive particles, ammonia, solvents or paint removers for cleaning. These materials may soften or remove the finish. Climates vary considerably from one locality to the next. In some areas, mildew may be a problem. It appears as black spots on the surface dirt and is usually detected first on the undersides of the rain gutter. For removal, prepare the solution below and apply as outlined above. 1/3 cup detergent (Tide for example) 2/3 cup Trisodium Phosphate (Soilax for example) 1 quart 5% Sodium Hypochlorate solution (Clorox for example) 3 quarts water. We install 6" K-style seamless gutters in a variety of colors. All gutters are fabricated by our state of the art gutter machine on-site. Our estimating team will come out and meet with you on site and help determine the problem areas you are having. We then measure the amount of gutter you need as well as the amount of downspouts needed to help resolve any issues you are experiencing.